The planet is in big trouble from greenhouse gases that warm and change the climate. Ashland resident Paul J. von Hartmann proposes a cure you might not expect. It’s cannabis. Von Hartmann has been a “cannabis scholar” and speaker for 25 years on the need to decriminalize weed and get it out to the world, not just as a healer of the user but as a healer of the planet in these perilous times of climate change. His movie of the same title is available at www.youtube.com/watch?v=XFDNGIZlN-E and consists of a series of speeches and commentary, mostly by him. 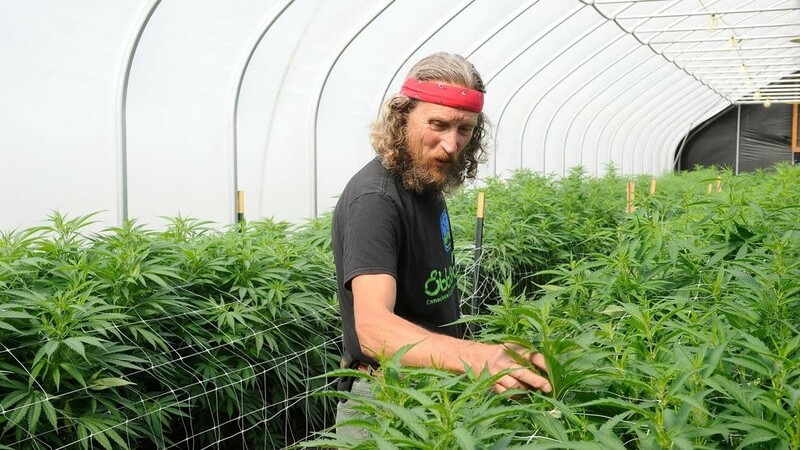 Von Hartmann, a biodynamic farmer and founder in 2007 of the California Cannabis Ministry, has been for many years trying to get out the message that, after we finish the battle over legality of weed, we can start using it to save our own health as well as the health of the planet. Cannabis, he says, is the only crop capable of replenishing the atmosphere with terpenes we need for survival, as well as helping sequester carbon in boreal forests and ocean plants. Inherent in this process of healing the planet, he says, is reducing burning of fossil fuels and turning to plants, such as hemp, as the new source of plastics. Massive cannabis farming also produces much oxygen. Cannabis can make the world go around in many ways, he says. Industrial hemp can be a multibillion-dollar industry, can produce a plant-based fuel, and can help sequester carbon by fully replacing fossil fuels. Von Hartmann founded Southern Oregon Ministries Alliance, which has a Facebook page and is based around cannabis.